Mary Doyle of Thornwood NY, passed away peacefully on January 15, 2019 at Rosary Hill Home. She was born July 14, 1929 in county Monaghan Ireland, daughter of Patrick and Margaret (McGorman) Cosgrove. Her brothers John and Patty Joe predeceased her and her brother Brian, resides in Bolton England. 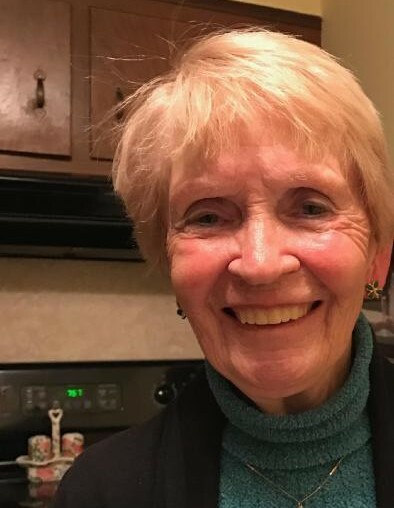 She is a devote Catholic and was an active member in the Franciscan 3rd Order, Graymoor – Associate Sisters of Franciscans and Holy Rosary Parish where she was a Eucharistic Minister. She was also an active volunteer for many activities supporting various community groups over the years. Mary worked in the restaurant business for over 50 years and she finally retired from Via Appia’s of White Plains in 2005, after many years of dedicated service. Mary arrived in the United States in 1949 and became a US Citizen in 1955. In 1956, she married Daniel T. Doyle of Thornwood NY and they had four children. She is survived by Dan Doyle and his wife Ginny of New Fairfield CT, Patty Wolstein and her husband Lewis of White Plains NY, Artie Doyle and his wife Patti of Roseville NC, Brian Doyle of NYC, along with ten grandchildren and five great grandchildren.The family will receive friends at the Hawthorne Funeral Home in Hawthorne NY on Friday, January 18th between the hours of 3:00 – 7:00PM. Funeral Mass will be held at Holy Rosary Church, Hawthorne NY on Saturday January 19th at 10:00 AM followed by a burial service at Gate of Heaven Cemetery in Hawthorne NY. In lieu of flowers, donations in the Doyle Family’s name may be made to Rosary Hill Home, Hawthorne NY or Holy Rosary Church, Hawthorne, NY.